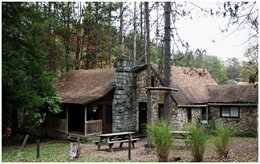 Enjoy the splendor of nature at Fair Winds in the Forest cabins located near Cook Forest State Park, Clear Creek State Park, and the Allegheny National Forest. Three convenient locations invite you to camp, hike, kayak, or fish. Make your next visit to Cook Forest comfortable with the amenities that are offered at Fair Winds – full bathrooms, bed linens with light blankets, gas stove, microwave, refrigerator, coffee pot with filters, toaster, basic utensils, pots and pans, can opener, a roll of paper towels and toilet paper and outdoor fire ring.